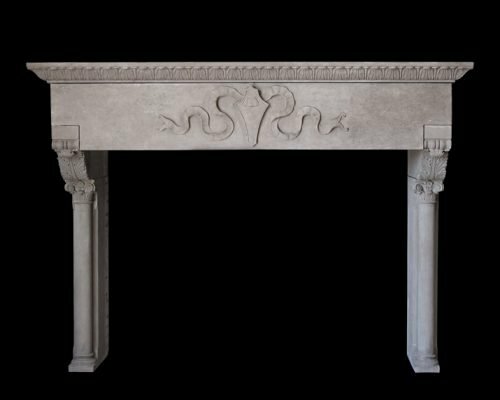 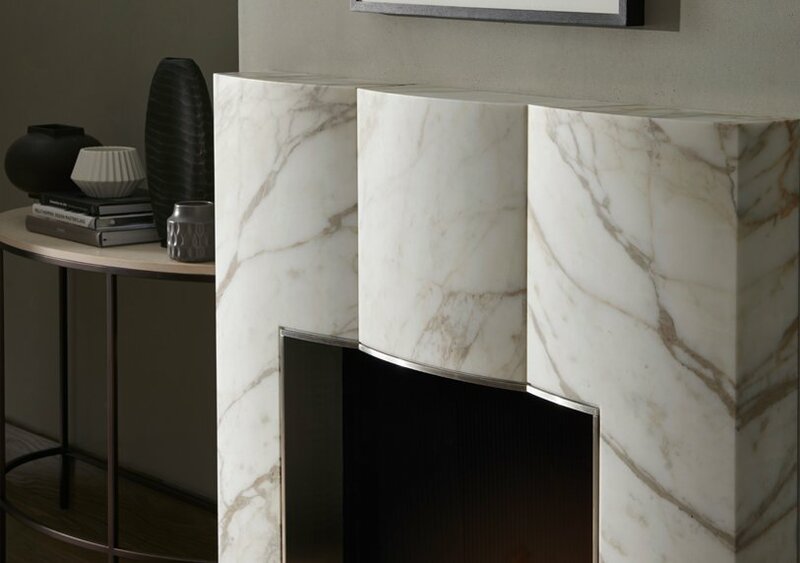 The Bradley can be fabricated in any stone or marble but is shown here in book matched Italian Calacatta Vagli. 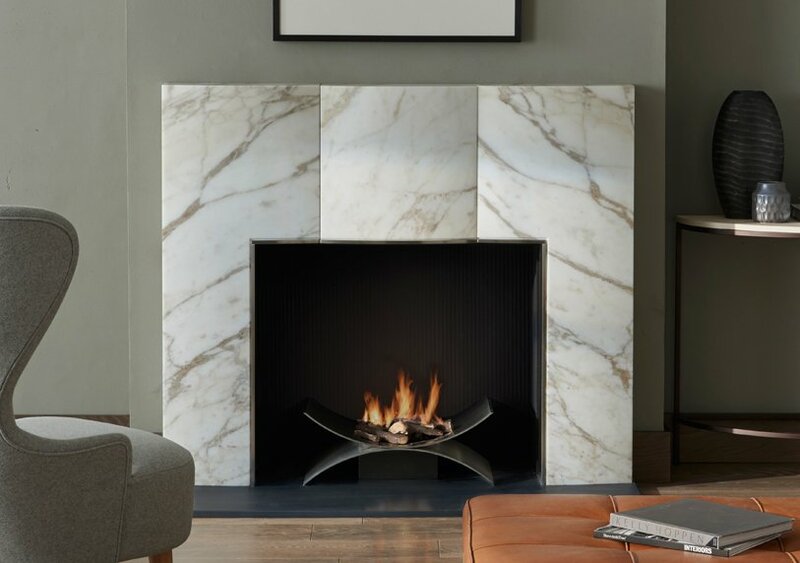 Its cushioned design and honed finish imparts a soft quality to the marble and its simple appearance is only relieved by a slender trim and reveals in brushed nickel. 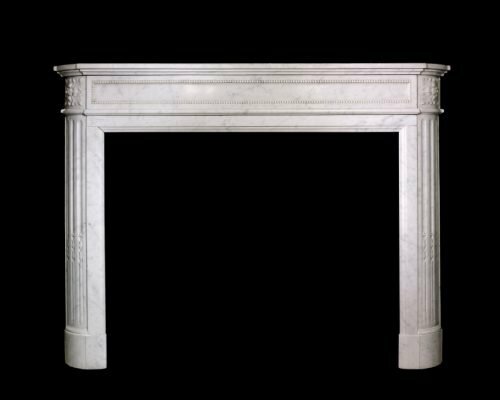 A Louis XVI Carrara chimneypiece with fluted half round jambs, rosette corner blocks and panelled frieze. 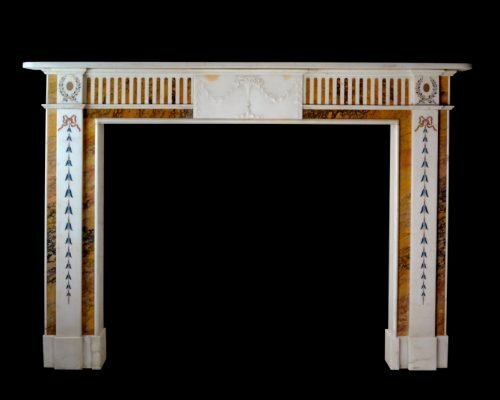 An attractive and decorative late 18th century Irish chimneypiece in Statuary marble with richly coloured and figured Convent Siena marble flanking the pilasters and framing the aperture.